I’m a programmer PHP and lacked tools for my specific needs while editing files, such as library inserts, various wizards. These tools are available in all sorts of programs where you can freely use them, but the lack of a program that would have all the most useful function. 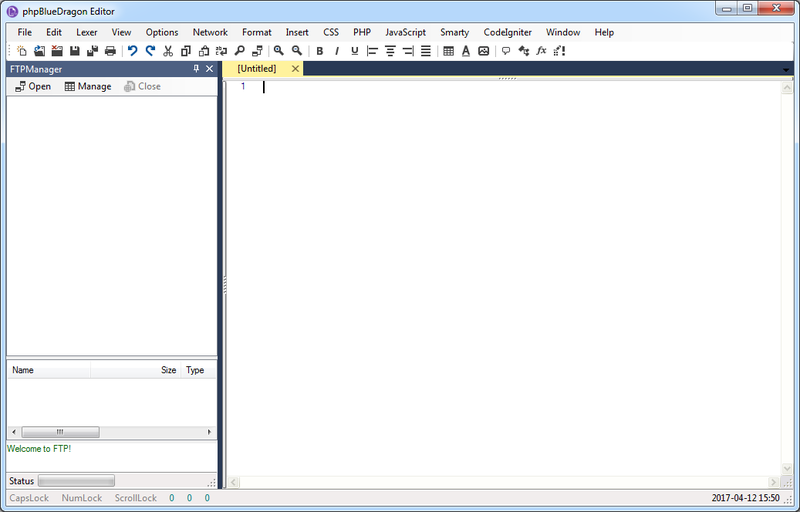 So I decided to learn to program in C # and write your own editor for Web pages. The editor will be soon enhanced with the functionality of FTP Manager, you will be able not only to edit files on the server, but also upload entire folders and their contents as for ordinary trees bear available in the current software does not allow for a thorough exploration of the files. Additionally, a web browser built in editor that allows no problem to use their own scripts, or as the finished pages without having to remember password. You will be able to declare your data in a special editor that allows you to automatically fill in forms. The program will be sold for a minimum price compared to the prices paid software, which time does not exceed the expenditure budget of the average household. Added coloring all HTML tags, and all of the parameters used for editing CSS files. The current standard is UTF-8 in the editor can be found in the main menu option that allows you to change the file encoding to ASCII. Compared with version 1.x, 2.x editor has been completely redesigned access to the FTP server. Instead of having to go to the card, the customer was added in the sidebar. You can now edit files directly from the server. Thanks to the addition of the Gong-Shell is now available in the editor Explorer files. It is located both in the sidebar, and you can open it in the main tab. All coding in PHP certainly have had contact with the tool phpMyAdmin – it is also within the editor. You can define a username and password, and then with one click to log on to the database management tool. The program has been equipped with all the basic classes and functions in CodeIgniter framework. He can create a model, view and controller, and use the built-in-class access to data. All files can be exported to various formats such as HTML, RTF and XML so you can create your software version for persons deprived editor designed for PHP files or just would like to syntax is preserved when you put the source on the Web server. Print the file will not be difficult due to the print preview, where you can adjust the amount of text that is on one page and its size and location. You can freely set a bookmark in a place about which you want to remember later to not have to search, but immediately after clicking on the button in the menu for his passing. The program has been equipped with automatic rolling code with which you can reduce the amount on the screen. Wrapping works for classes and methods found in these classes and various functions. It does not matter whether these functions belong to PHP or have been created by you. In the case of the editor we can set several languages encode our program, starting from C# through PHP and HTML ending. You can also select a none syntax. Thanks to the editor and regular expressions can be changed coloring fragments.